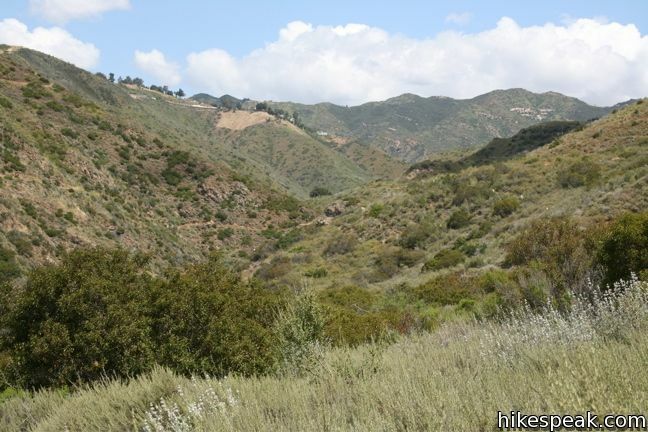 The 1,000-acre Corral Canyon Park protects a span of the Santa Monica Mountains between Dan Blocker Beach and Malibu Creek State Park. 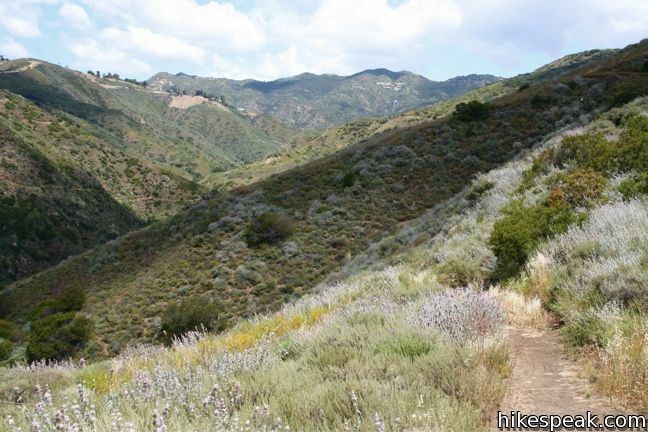 This is the only canyon on the Los Angeles County side of the range that remains undeveloped from the ridge top down to PCH, allowing the 2.5-mile loop through the park to plunge hikers in to a world of natural scenery and vegetation. 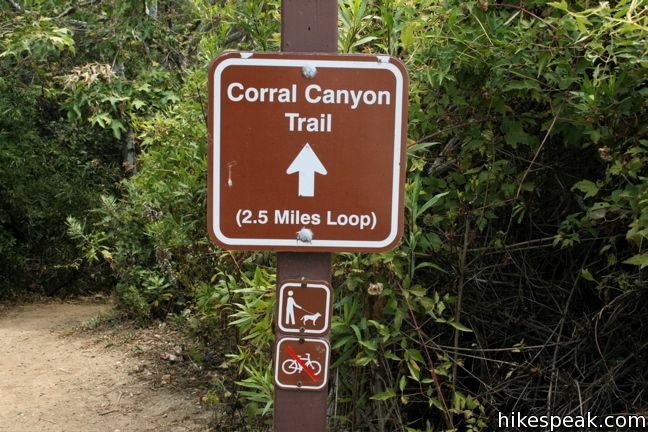 Corral Canyon Loop begins at Sara Wan Trailhead, which is located just off PCH next to Malibu Seafood and Deli. 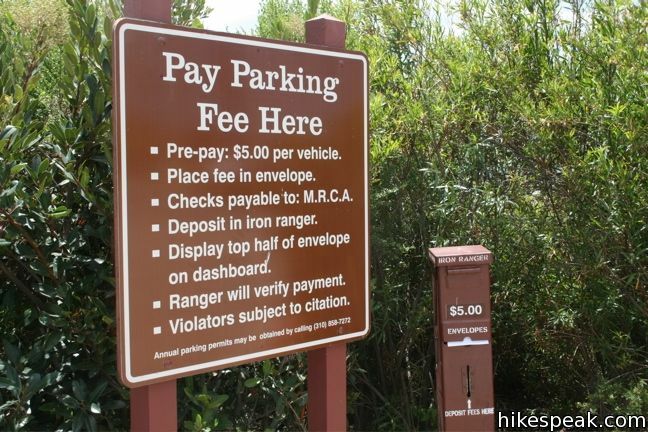 A five-dollar fee is charged to park at the trailhead. Parking is not allowed on the north side of PCH near the trailhead. 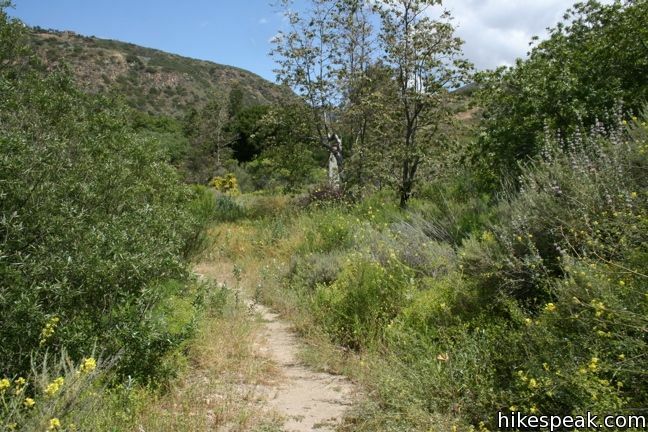 Pick up the trail at the northeast corner of the lot, where it descends immediately to Corral Creek. Hop over the creek and hike through a small marsh, before turning left and heading in to the canyon. Alders and willows provide some rare shade as you come to a fork, 0.17 miles from the start. This is the beginning of the loop. To the left, the trail continues up the canyon, while to the right it heads south wrapping up the terrace to the east. 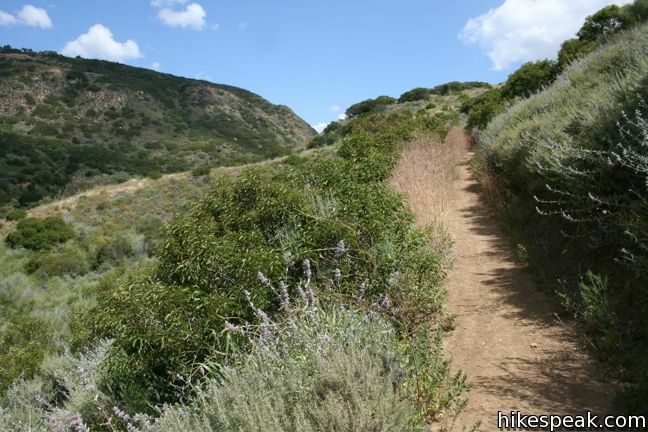 To avoid spending half the hike looking over your shoulder, continue up the trail to the left. Pass the remains of an old chimney (perhaps this canyon isn’t as pristine as it claims) and begin switching up the east side of the canyon. Tall grasses act like saloon doors that must be brushed away as you hike. Definitely wear long pants on this one. The views improve, both up canyon and down, as the trail climbs to its highest elevation of 550 feet at the north end of the loop. The trail then makes a U-turn and heads south to what is labeled on the map as an overlook. Take in a nice view up and down the coast from this shelf on the ridge, 1.5-miles from the bottom of the loop. The turnoff also connects to a footpath that makes a straight shot up the ridge toward Puerco Motorway and Mesa Peak. Step out and enjoy the view here, then return to the trail. 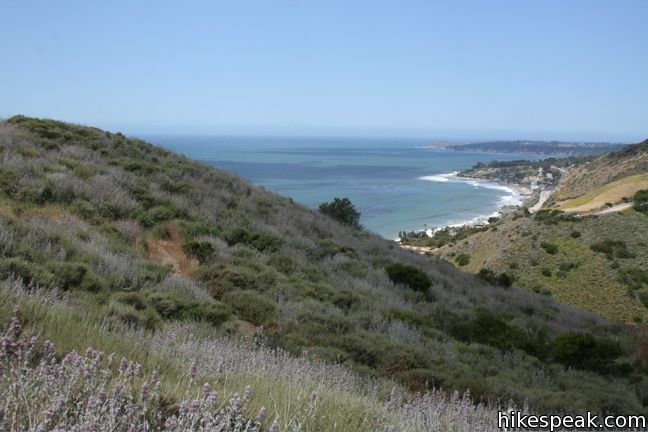 Below the overlook comes the most scenic stretch of the hike as the hillside of purple sage gives way to the curving coast of Malibu. A quarter mile below the overlook, pass the bottom of that path headed straight up the ridge toward Puerco Motorway and Mesa Peak. The trail descends to the east and then swings back toward the canyon. Back at the junction, two-thirds of a mile below the lookout, make a left to return to the parking lot on the trail where it all began. 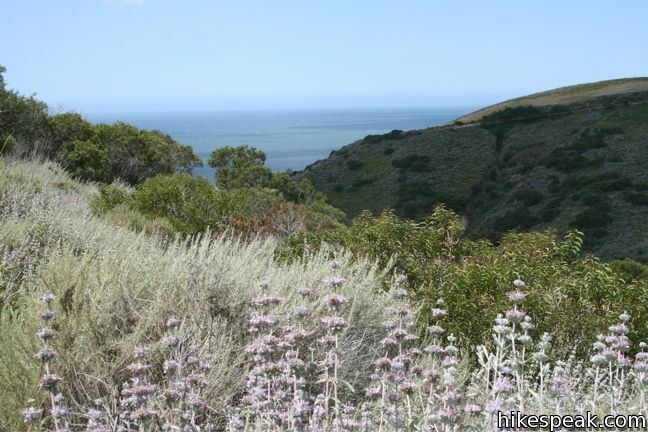 Corral Canyon Loop is a short gradual hike with nice ocean and canyon views. No bikes are allowed, but dogs are welcome. Woolsey Fire Update: Corral Canyon Park has reopened following the November 2018 Woolsey Fire. This park is managed by the Mountains Recreation and Conservation Authority. Check the MRCA website for additional visitor information. 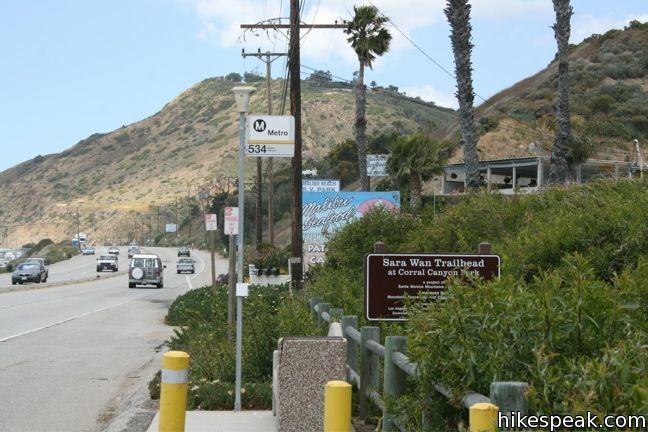 To get to the trailhead: Drive west on PCH and pull in to the parking lot on the north side of the highway next to Malibu Seafood Restaurant, 1.8 miles west of Malibu Canyon Road and half a mile before Corral Canyon Road. These photos were taken in May of 2010. Click to enlarge. 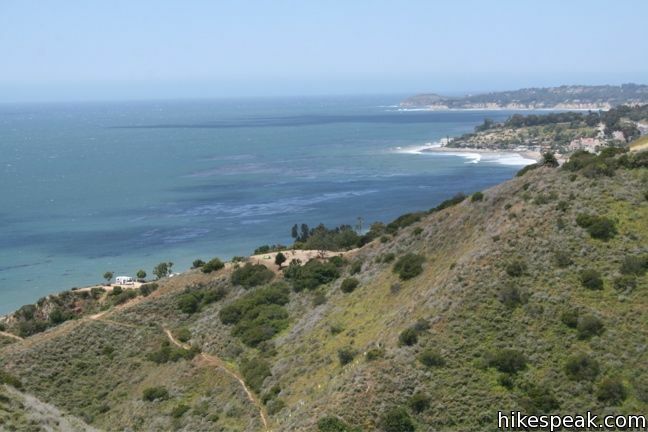 This one-mile hike explores overlooks on a scenic headland jutting into the Pacific at the northwest end of Santa Monica Bay in Malibu. 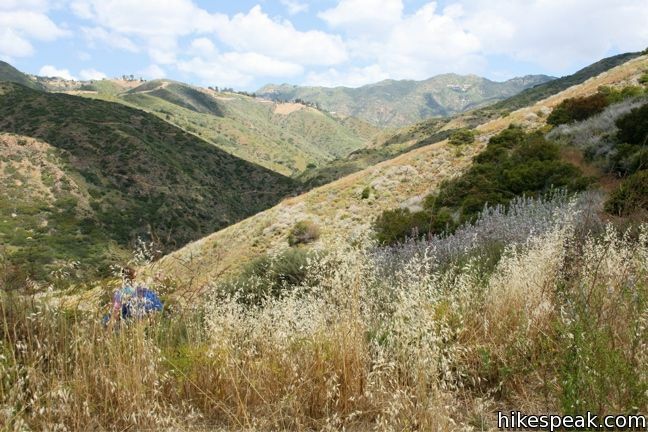 This 4.75-mile hike climbs 500 feet over a scenic mountain between Liberty Canyon and Las Virgenes Canyon on the north end of Malibu Creek State Park. This 2.6-mile loop offers a variety of scenery and decent exercise, despite its relative brevity. 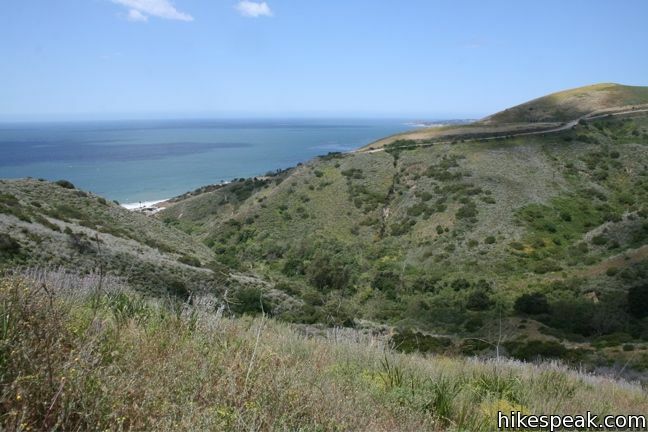 This 11.75-mile hike explores Point Mugu State Park on the west end of the Santa Monica Mountains, offering extraordinary ocean views. 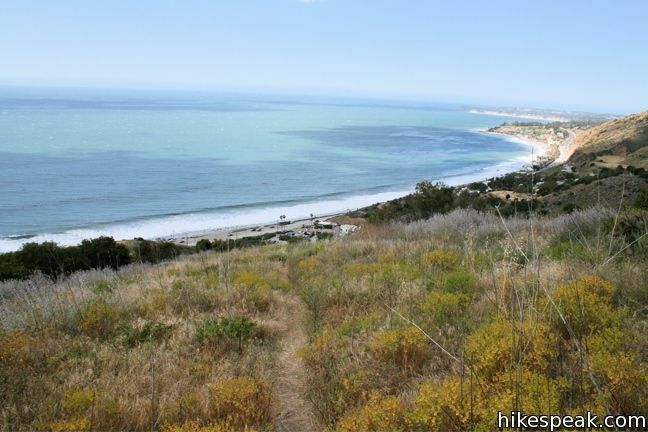 I love this hike, and the food at Malibu Seafood is a plus. 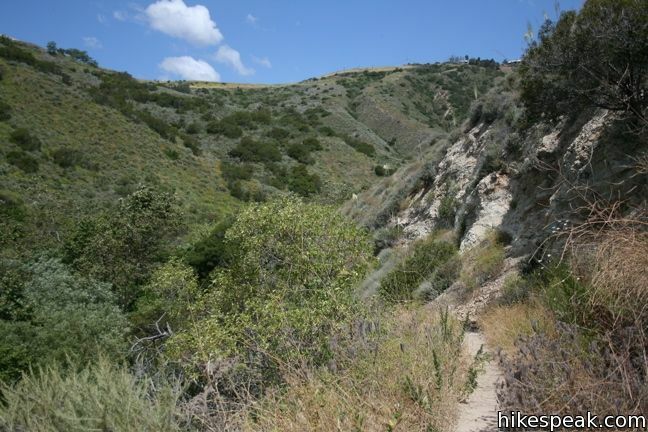 I also enjoy Solstice Canyon (just the next canyon over, nice waterfall hike. Enough hikes close together here to make a full day. 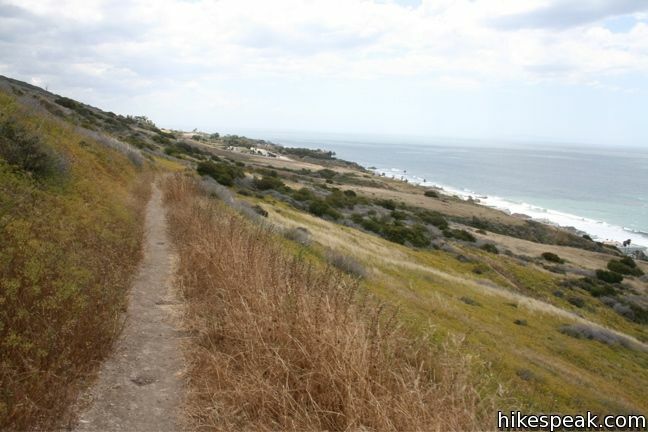 Hikespeak have you ever hiked the Rancho Palos Verdes area? Beautiful this spring 2011. You would think so close to the city it might not be so great but tucked away are quite a large network of challenging trails through natural reserves. 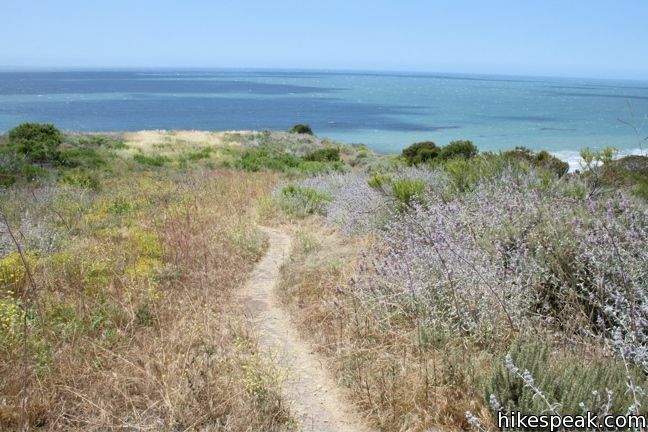 It can be tricky to find, my pages might help http://caopenspace.org/pv1.html maybe your readers who like coastal bluff hiking might like this one too if you are interested in giving it a try. Love your site! Thank you! Simple hike. Good for a moderate or slightly warm day since there is not much shade. Nice breezes and beautiful views of the ocean. 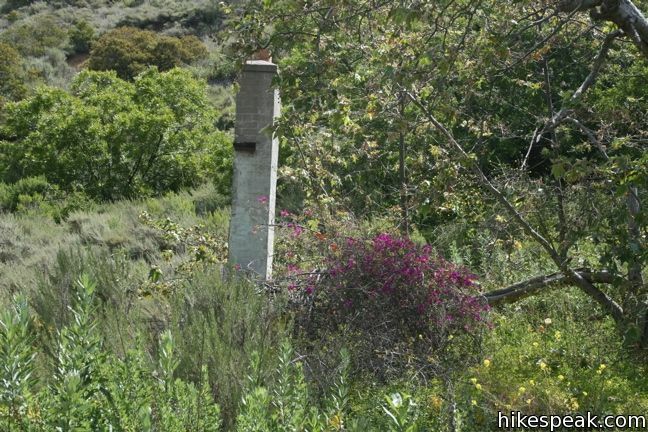 I was wondering if you knew of any high places in the Malibu area that would be great for seeing 4th of July fireworks and avoiding too many people. Thanks! This is a quick 1 hour hike, with enough altitude to get your legs fired up but not enough to provide a challenge, more of a leisurely hike. Stay to the left and go clockwise through the loop, the climb is gradual and the views at the end of the ocean are beautiful. Lots of lizards, funnel web spiders, and birds. Small fee-to-park lot at the the entrance, fills quickly so additional parking is available on the PCH for free, with a short walk to the park entrance. Nice hike, great views, but not too challenging. For those wanting a challenge, this hike is probably not the best fit! 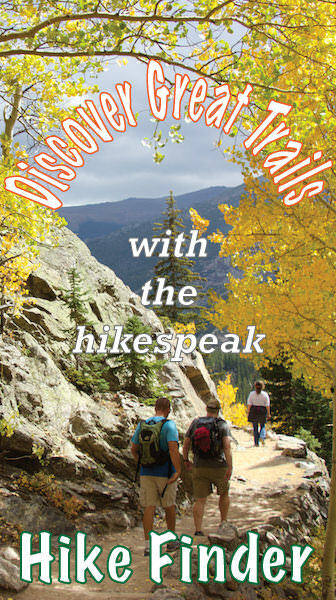 I was trying to understand from your post – is it possible to make this a longer hike? 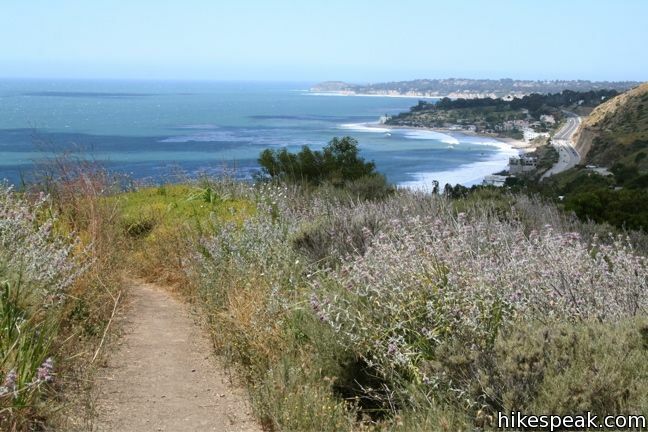 We are looking for a hike with ocean vistas but more challenging than this one – maybe about 4 miles. 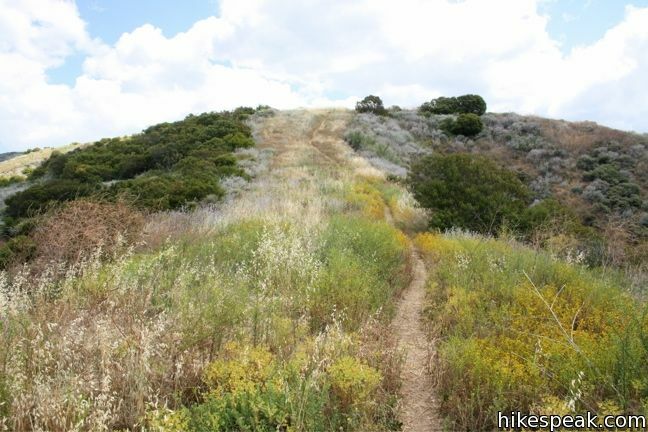 You could try taking the path up the ridge from the lookout point (1.5 miles into the hike) to explore a bit farther. Hiked this today on a hot 80 degrees. It looks a lot drier than these pictures show, due to the drought…fire tinder everywhere. It almost looked like the desert once you get away from PCH and gain elevation. 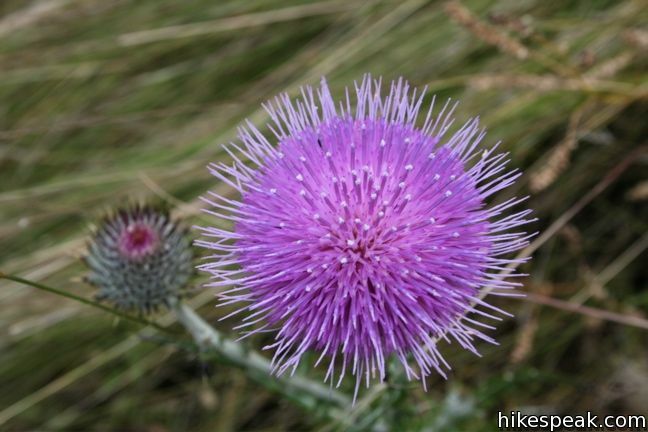 Nevertheless, due to the elevation, it was strenuous at times and you can keep walking for miles beyond the 2.5 mile loop to get an extended workout…as long as you continue following the trails. Lots to explore and the ocean views are wonderful. 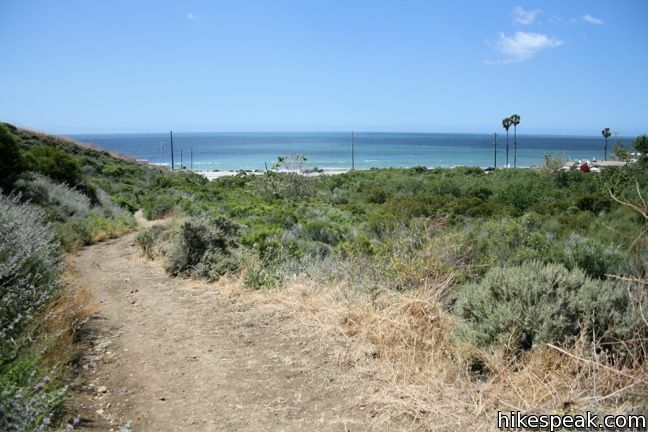 Free parking along PCH, however, I recommend parking past the trailhead on PCH…as people drive way too fast and it is very difficult to pull out onto PCH before or near the trailhead, due to a slight blind curve in the highway right there. I am not faint of heart…..but I felt like I was taking my life into my own hands just pulling out….way too stressful….do yourself a favor and park just past the seafood place. And do yourself another favor, and spend the $20 on one of their fresh seafood meals…simply delicious and so healthy :). I also took a dunk in the ocean right across the street afterwards….so refreshing. It is a clean beach, with a lifeguard to keep you safe while you swim. What a perfect day. Hello. 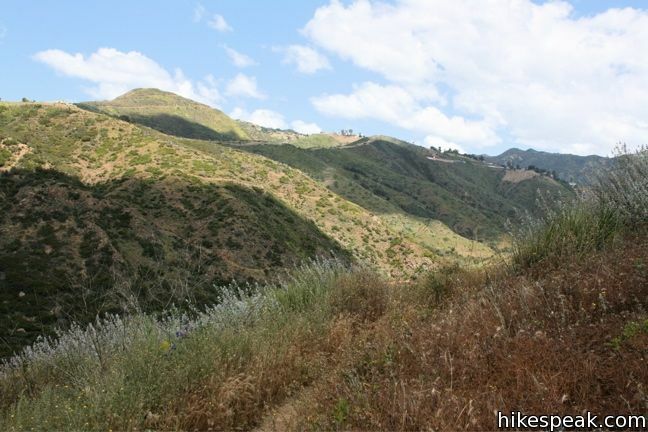 I’ve enjoyed the Corral Canyon hike three times now. The 4th time was a disaster. The shrubbery were so overgrown that it made it difficult to see you next step, trail, and hand in front of you. Because of this I fell and almost took a tumble down the side of the mountain. Is there anyone I can write to or call regarding maintaining the trail? Trimming all the foliage? Thanks. Sorry to hear you had a negative experience. 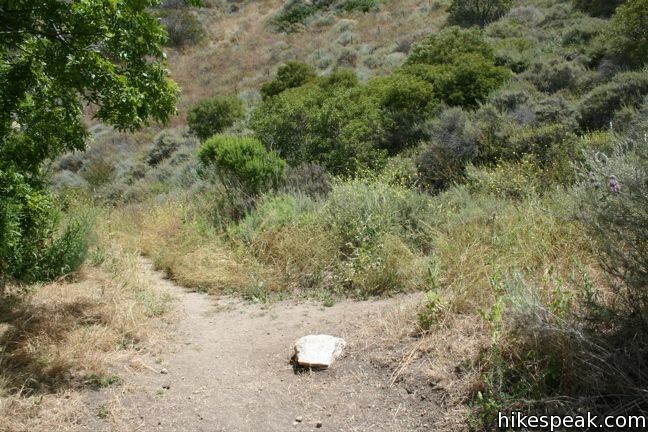 Corral Canyon Park is operated by the Mountains Recreation and Conservation Authority (MRCA).